Maternal vitamin C deficiency during pregnancy can have serious consequences for the fetal brain. And once brain damage has occurred, it cannot be reversed by vitamin C supplements after birth. Maternal vitamin C deficiency during pregnancy can have serious consequences for the fetal brain. And once brain damage has occurred, it cannot be reversed by vitamin C supplements after birth. This is shown through new research at the University of Copenhagen just published in the scientific journal PLOS ONE. 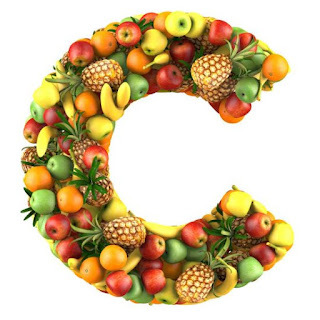 "Even marginal vitamin C deficiency in the mother stunts the fetal hippocampus, the important memory centre, by 10-15 per cent, preventing the brain from optimal development," says Professor Jens Lykkesfeldt. He heads the group of scientists that reached this conclusion by studying pregnant guinea pigs and their pups. Just like humans, guinea pigs cannot produce vitamin C themselves, which is why they were chosen as the model. "We used to think that the mother could protect the baby. Ordinarily there is a selective transport from mother to fetus of the substances the baby needs during pregnancy. However, it now appears that the transport is not sufficient in the case of vitamin C deficiency. Therefore it is extremely important to draw attention to this problem, which potentially can have serious consequences for the children affected," says Jens Lykkesfeldt.